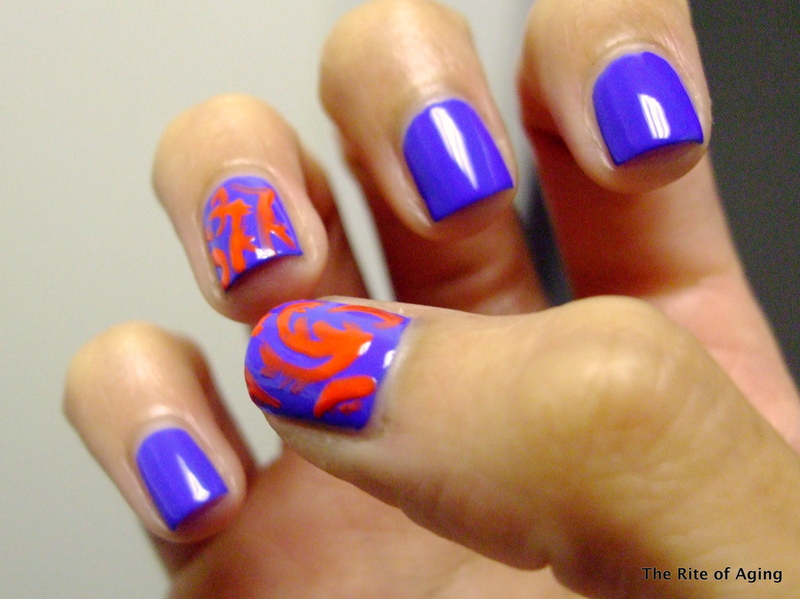 I scanned magazine after magazine, my closet, my house, for a pattern that I liked enough to re-create on my nails. I did not have any attachment to anything. 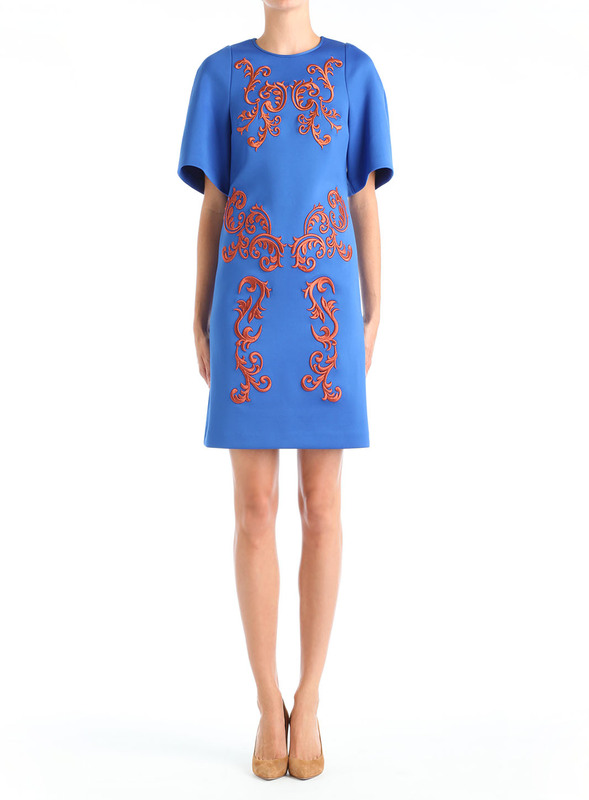 …Until I came across a dress from Clover Canyon. This is not a unique print but it is my favorite color combination, which is the main reason I was drawn to it. I used two coats of Urban Outfitters “Blue Velvet” as my base and Color Club “Wham! Pow!” for the detailing. I am starting to realize how difficult nail art is on small nails! I love how my thumb came out so I decided to add a rare picture of it. Nice mani! The dress is very pretty and I am not surprised you loved the colour combo too. Haha yeah…blue and orange, can’t go wrong with that! Thanks!